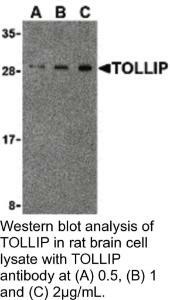 TOLLIP Antibody: Toll-like receptors (TLRs) are evolutionarily conserved pattern-recognition molecules resembling the toll proteins that mediate antimicrobial responses in Drosophila. These proteins recognize different microbial products during infection and serve as an important link between the innate and adaptive immune responses. The TLRs act through adaptor molecules to activate various kinases and transcription factors so the organism can respond to potential infection. 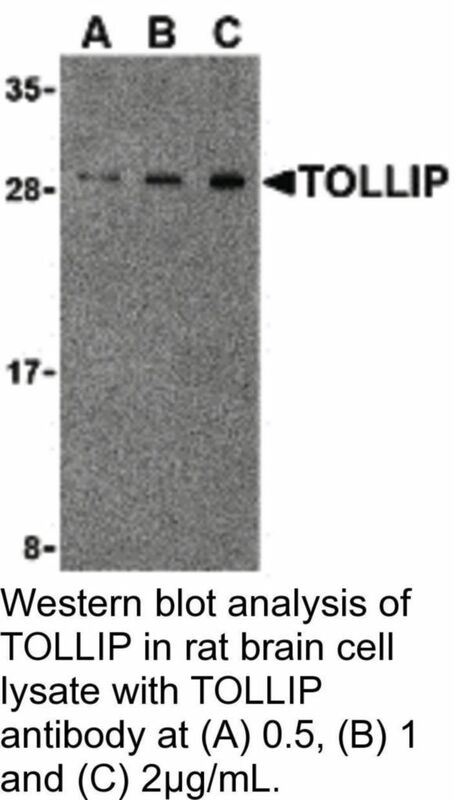 These adaptor molecules include TOLLIP, MyD88, and TRIF. 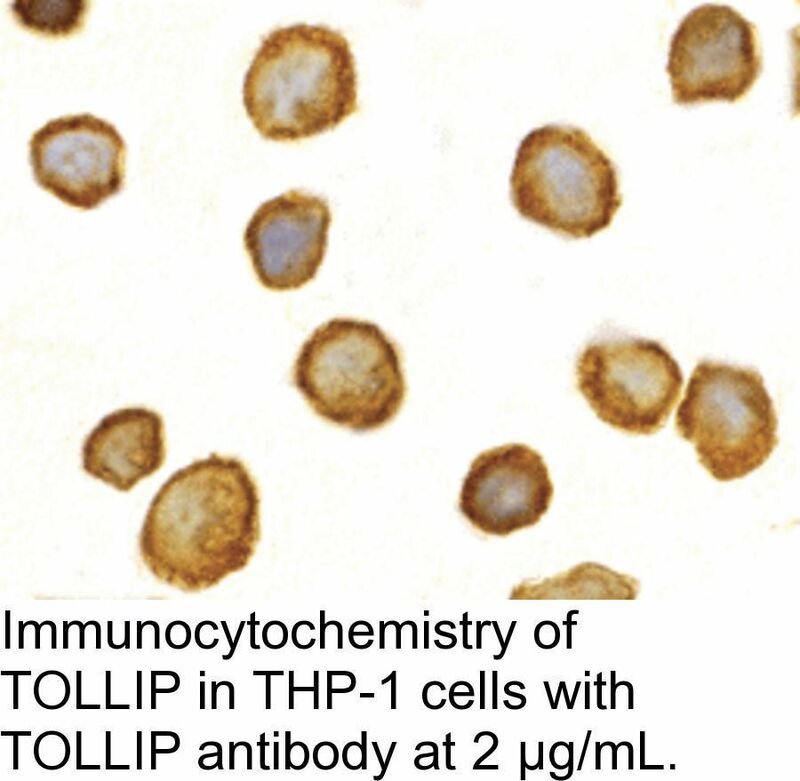 TOLLIP associates directly with TLR2 and TLR 4, acting as an inhibitor to TLR activation. This negative regulation of TLR signaling may serve to limit the production of proinflammatory mediators during infection and inflammation.